After a full year being a devoted fan of WordPress with Siteground hosting, I’ve decided to make a bit of a dramatic switch to Squarespace. This was not a decision I was expecting to make, and it was not a project I was expecting to undertake this month. But, nevertheless, here we are! So today, especially since I have blog posts on this website pushing you to WordPress/Siteground, I felt I owed you an explanation. Here’s why I switched from WordPress to Squarespace one year into my business. First, for full disclosure, let me talk about what my current setup was. I was on the Siteground* GrowBig plan, which is their second tier. I upgraded to this one so I could have multiple websites because my husband was starting his own business at the time. This is currently on hold while he goes through some career changes, but we were originally going to stay on this plan. I used Wordpress.org to manage my blog. I had the Genesis Framework by StudioPress alongside the Restored316 Captivating theme for my website’s design. I also had invested in two plug-ins (both of which I highly recommend for WordPress users): Elementor Pro* and Tasty Pins* (those are both affiliate links - because I do love them!). To be completely clear, this website setup was good for me. I loved my theme, I loved those plug-ins, and WordPress certainly got the job done. If you’re on WordPress, don’t freak out, I’m not about to tell you that you have to leave or your business will fail. But, I discovered that Squarespace was even better for my business. This was about choosing between two good options for the solution that best fit my needs. This post is all about why Squarespace was the winner, and why it might be yours too! Overall, the comparison is between WordPress and Squarespace, but my web host, Siteground, is a factor in the following discussions. The catalyst for this change was definitely the money. In my first years of running this business, I neglected my own budget for an entire year (shame on me, I know!). As a result, when August rolled around, I realized that my annual renewals snuck up on me. I needed $300+ that I didn’t have ready. So I had to get creative. I had to cut a couple things, move a few more things around, and do some research. At first glance, Squarespace doesn’t seem cheaper. While the plans offered by Squarespace and Siteground aren’t comparable by features, for simplicity’s sake (foreshadowing), we’ll compare the first two tiers. Plus, we have to factor in other costs associated with maintaining a website on these platforms. When you self-host through Siteground/WordPress, you’ll probably end up having to pay for a theme, plug-ins, and even a web developer one day (you’ll almost certainly need a pro to help you manage the back end of your site one day). Currently, I’ve put about $130 into my theme and $78 into my plug-ins. Developer rates vary, but I certainly haven’t been able to afford one – luckily I’ve been able to DIY up until this point, but I knew I’d need someone eventually. With Squarespace, you don’t pay separately for templates, and you don’t need plug-ins. And since they manage almost the entire backend while giving users a clean, simple interface, you’re a lot less likely to need a professional web developer. Ultimately, Squarespace is cheaper in the long-run for my website, which is something I value. And I’d honestly started to grow tired of the “There’s a Plug-In for That” mentality that comes with using WordPress. Having to pay for the domain email was a bit of a pain, but being able to use Google's interface instead of Webmail (or dealing with the forwarding lag when you link to a Gmail inbox) has already made it worth it. For full transparency, you have to pay for separate plans for each website you own with Squarespace. So when I decide to bring Michael’s website back online, it won’t necessarily be cheaper. But I’ve come to terms with that –Michael’s business expenses are separate from TLS, anyway! I briefly mentioned this above, but it was important enough to me that I’m giving it its own section! When you are self-hosted, you have to deal with a lot of the ugly parts of running a website. Between server issues and site security, it can all get really technical. I like technical things. I’m a number cruncher, a spreadsheet girl, and I even like a little bit of HTML sometimes. But I can’t get that technical. Plus, I’m lazy, and website maintenance tasks like security updates are not fun to add to my to-do list. Squarespace handles all of this stuff for you, and that’s one less thing on my plate! This can be the greatest argument against Squarespace, but I don’t see it that way. Many people don’t like how “templated” Squarespace can be. Without the right customization, everyone’s website looks the same! At the time of this writing, I’m using the Bedford template, which is used a lot by bloggers. I see it everywhere. But you know what you can’t say? You can’t tell me it doesn’t look goooood. Seriously, who cares if we’re wearing the same outfit? I was never that girl in school – my mentality was always in the #twinning camp (but without the hashtag since I’m apparently a dinosaur who didn’t have those in middle school). Jokes aside, my WordPress website took me nearly a month to put together. My Squarespace site was done in 4 days, and that was mostly me reformatting line spacing in imported blog posts. When I look at these templates, I see a solution. What some see as a weakness is the greatest strength for us lazies! You can design a gorgeous website with their super simple drag-and-drop interface in no time. And you can always tweak it later to customize it fully to your brand and make it different from everyone else. Using a Squarespace template is probably the fastest way to get your website off the ground! And now, we come to the number one reason why I switched. Simplicity. I’ve been working really hard on my mindset and personality issues lately. I have a tendency to get so ambitious that it becomes self-defeating. I create unrealistic goals, take on major projects, and over-complicate everything. I’ve spent the last few months trying to undo all of my messes and simplify everything I do. “Done is better than perfect” is almost like a song stuck in my head right now. Simplicity is excruciatingly critical when you’re a lazypreneur. Squarespace is simple. Some say too simple, but it’s exactly what I need to keep myself in line. WordPress has a lot of flexibility, and gives you the room you need to create a larger, more complex website. Squarespace has limitations. But I don’t need a larger, more complex site. In fact, my website had already become too complex! I always needed to update certain pages, or tweak certain sections, or reformat a wild layout. And since I hated doing these things, I always procrastinated. Managing and designing my new Squarespace website is a breeze, and it helps me to stay more consistent! It’s SO nice to have removed a few barriers between me and my website. But what about all the negatives? If you start doing your own research into Squarespace, you’ll come across a few negative opinions. It’s only natural, there’s always going to be a ton of debate between website platforms! After conducting my own research, I decided that the negatives either A) weren’t valid or B) didn’t matter to me. For example, there’s a claim that Squarespace is bad for SEO. Squarespace has put in a lot of effort in recent years to make sure they’re SEO-friendly. Sure, there are pros and cons, just like with any platform - if you’d like to read more about this, here’s an informative article about Squarespace SEO! Or, there’s a complaint that Squarespace’s website functions are limited. My conclusion is that this doesn’t matter to me. Squarespace can do everything that The Lazy Source needs it to do, so why do I need anything more? Is Squarespace the solution for you? If you’re still reading, you’re probably starting to feel really curious about whether or not you should be choosing Squarespace (or you’re just a diehard fan of my writing! Ha). If you haven’t started your website yet, I definitely encourage you to look into Squarespace. If you’re already on WordPress and you’re freaking out that Squarespace might be better for you, don’t panic! Take a breath, do some research, and make a plan. Migrating your website involves a lot of steps. I had a full project planning page dedicated to the process. Nothing was overly complicated, but I had to make sure I did everything I needed to so I didn’t break my own website! If you’re feeling overwhelmed about transferring an entire website to a new platform, I’m going to tell you my secret. My secret to a successful site transfer is… I didn’t do it alone. Remember those crazy fun Squarespace fans I mentioned earlier? 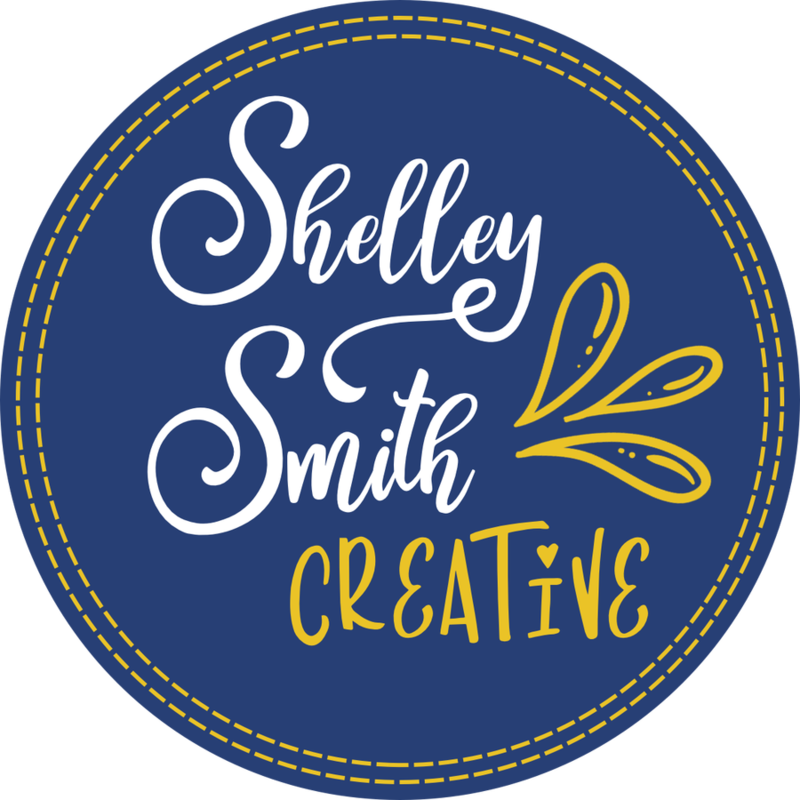 My friend Shelley of ShelleySmithCreative.com is a Squarespace Designer with a wide range of talents. In fact, she’s probably got another 30 “creative” titles. She helped me to do my research, make my decision, plan out my migration, and troubleshoot the [very few] issues that I came across. Shelley is definitely the reason I was able to make this change- in a week! If you need to simplify your processes so you can get more done with less energy, I seriously want you to consider moving to Squarespace. And if you’re still just thinking about it, I highly encourage you to sign up for her email list so you can get access to all of her upcoming resources. Shelley’s awesome and you’re gonna want to be a part of what she does. Let me know in the comments, are you Team WordPress or Team Squarespace? Or perhaps a different platform?